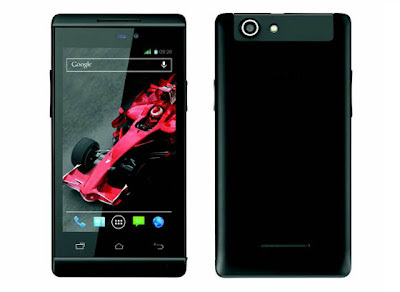 XOLO has launched its new Smartphone "XOLO A500S" ,today in India Market.The smartphone has been priced at INR 6,999 and will be available soon in India.It runs on the Android v4.2 OS. XOLO A500S is powered by 1.2GHz dual core processor with Mali-400 MP GPU.The phone sports with a 4 inch TFT display with a pixel density of 233PPI.XOLO A500S comes with 5-megapixel rear camera with LED flash, auto focus and VGA camera at front for video calling. XOLO A500S comes with 4GB of internal storage which is expandable up to 32GB via microSD card slot.The connectivity features are 3G, Bluetooth, Wi-Fi, micro USB, 3.5mm audio jackand it supports dual SIM connectivity.The battery capacity is loaded with non removable1,400mAh,which gives talk time of upto 8 hours on 3G and upto 10 hours on 2G.XOLO A500S is available in 4 clours Black, Blue, Red & White. Also the smartphone comes with a app called Xolo Secure, which protects your phone from data loss or thefts.You can take back up of your calls, SMS and trace phone’s location remotely by using the Xolo Secure App.